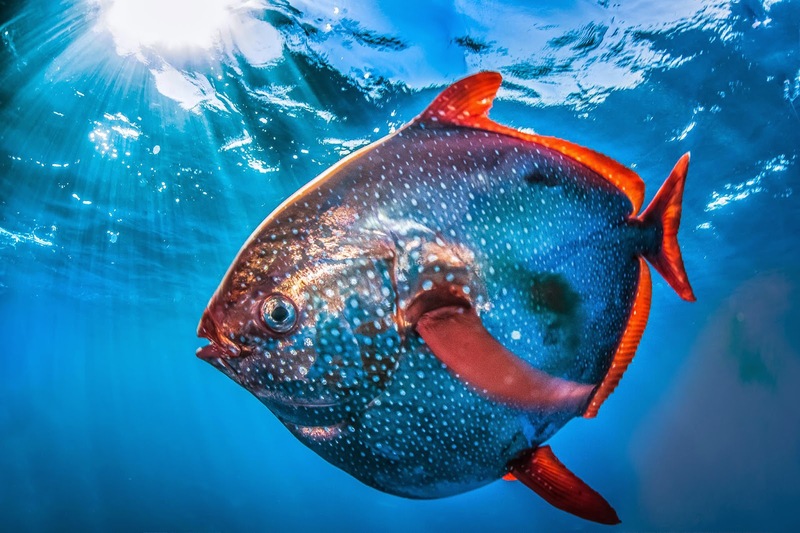 An opah Lampris guttatus photographed near San Clemente Island off the southern California coast. I find this so interesting. And the opah is just a beautiful fish.